Hey Curvies! Happy Friday. 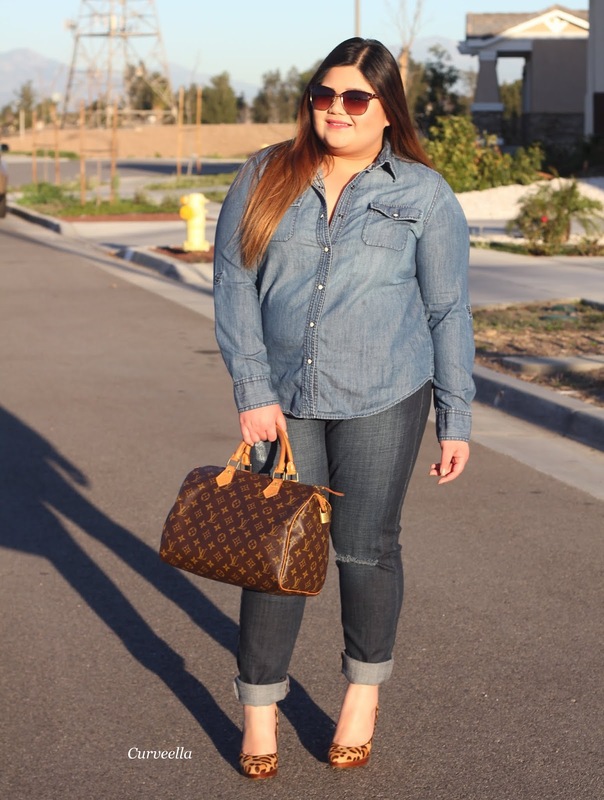 Here's an easy and quick stylish look to wear around this coming weekend. 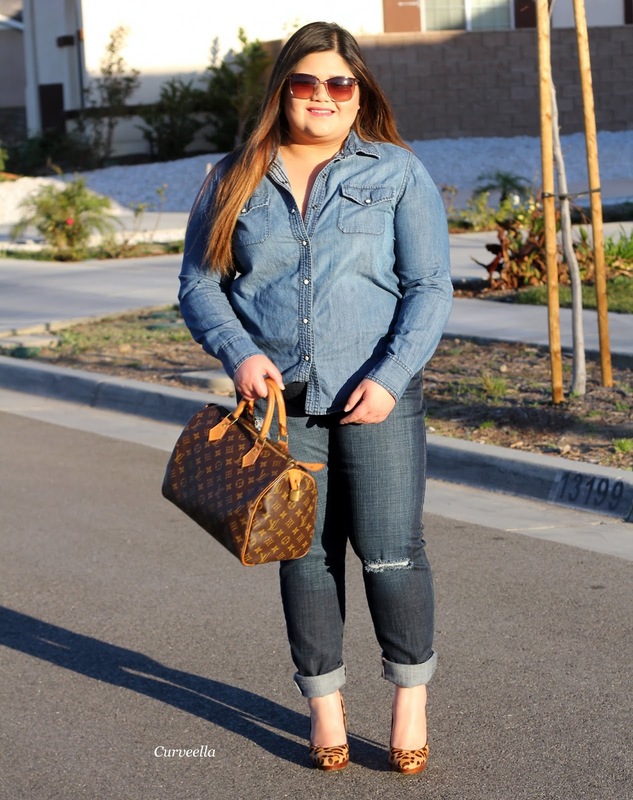 A denim on denim combo, a trend that's so in and easy to style. 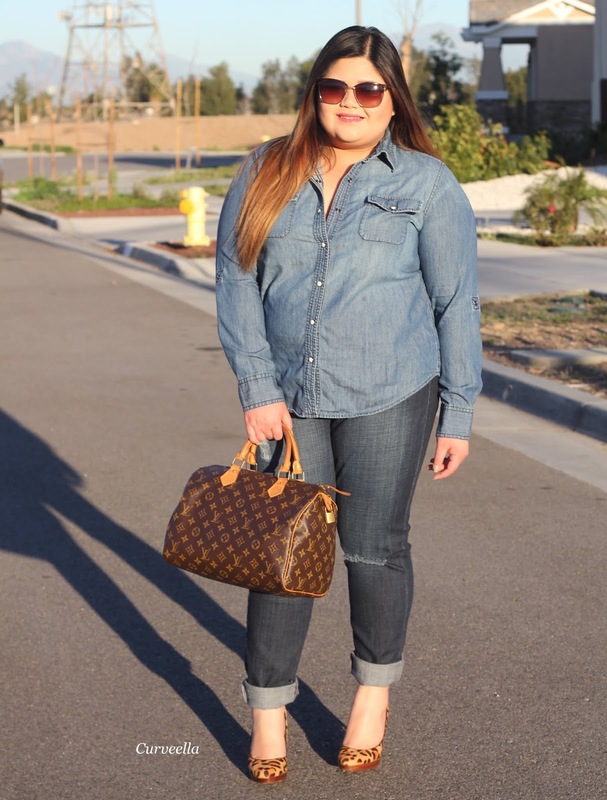 The key is to pair two different shades of denim, shades that aren't too far from each other and pair with classics. 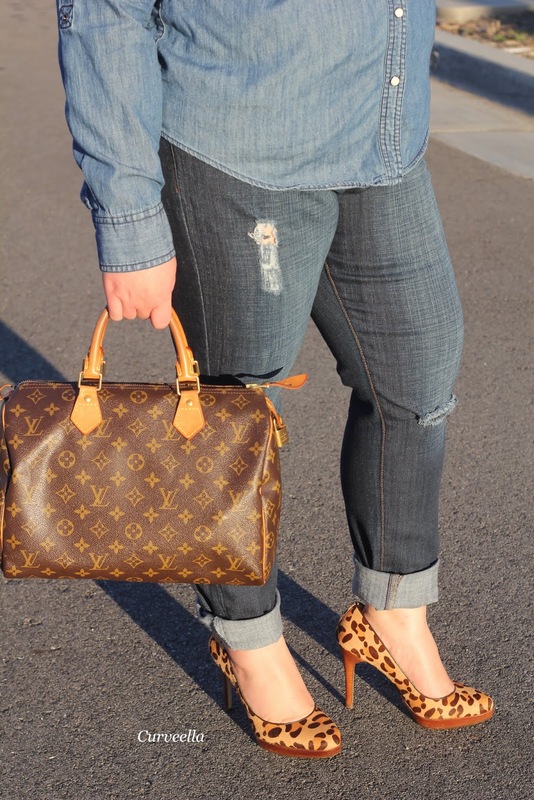 Like how I recreated this look in a real easy way, I paired my Chambray top and semi distressed jeans, finished with a classic Louis Vuitton Speedy purse and a neutral leopard print pumps. A look that can be restyled in a snap by anyone, personal touches is always a plus. A perfect go to outfit, running errands with elegance or a brunch out outfit. It is simply a casual style that speaks elegance.